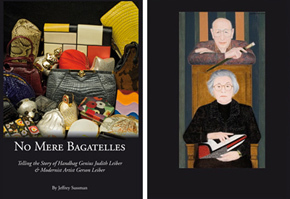 The Leiber Collection is pleased to announce our Summer 2014 exhibition, The Marriage of True Minds ~ Gerson and Judith Leiber’, showcasing the extraordinary new paintings of Contemporary Modernist Painter, Gerson Leiber, as well as over 500 examples of Judith Leiber’s artful creations. The incredible artistry of these works is sure to amaze. East Hampton, NY — Judith Leiber has designed handbags for nearly all the First Ladies from 1953 onward as well as for Academy Award, Grammy award, and Emmy award nominees. Her handbags are considered such unique works of art that 80 bags are in the Metropolitan Museum of Art, and many others are in the Corcoran Galleries, The Victoria and Albert Museum, and numerous regional museums around the United States. The paintings, drawings, etchings, and lithographs of Judith’s husband, modernist artist Gerson Leiber, are also in many museums, including The Metropolitan Museum of Art, The Museum of Modern Art, The Whitney Museum, The Boston Museum of Fine Arts, The Philadelphia Museum of Fine Art, and many more. 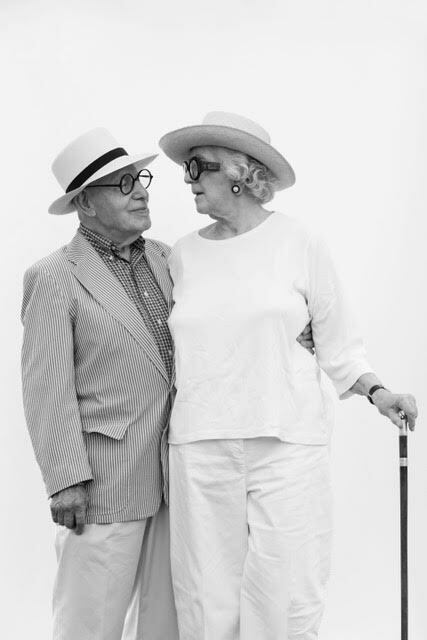 Now, after more than 68 years of marriage, a marriage of true minds, the Leibers, who are in their nineties, will have their first, and perhaps only, joint exhibition of their work at their Renaissance-style, Palladian museum in East Hampton. The museum sits amidst seven acres of gardens, each one individually designed by Gerson Leiber. The museum and the gardens are open free-of-charge to visitors every Saturday, Sunday, and Wednesday from Memorial Day to Labor Day. In this joint exhibition, viewers can see the culmination of the Leibers’ manifold accomplishments that have taken distinctive shapes over the years. While their creative skills are entirely dissimilar, their fascination with color, composition, texture, and the need to be productive, creative artists has been a shared passion that has guided and enlivened their vocations for more than seven decades.